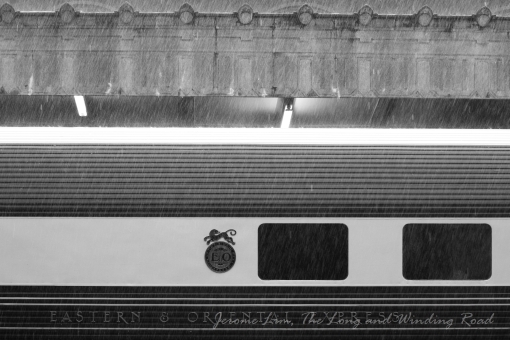 There is always and element of romance connected with train journeys, especially the leisurely paced journeys of the past with which one can take in the magical scenes along the way that one can only get from railway journeys. 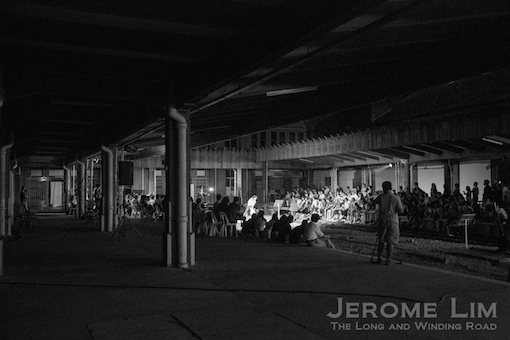 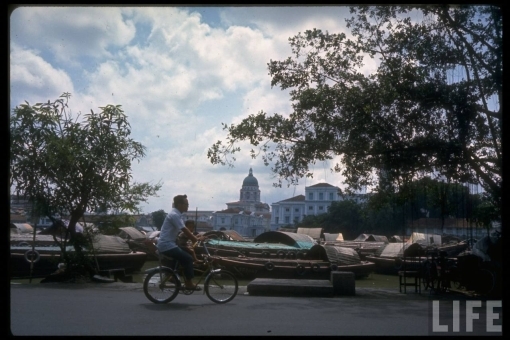 LIFE Magazine’s Carl Mydans, a legendary photograph whose work spans several decades and includes an extensive coverage of Singapore prior to the war (see “A glimpse of Singapore in 1941, the year before the darkness fell“), took one such journey out of an independent Singapore some 3 decades later, capturing a Singapore we can no longer see but through photographs of the era. 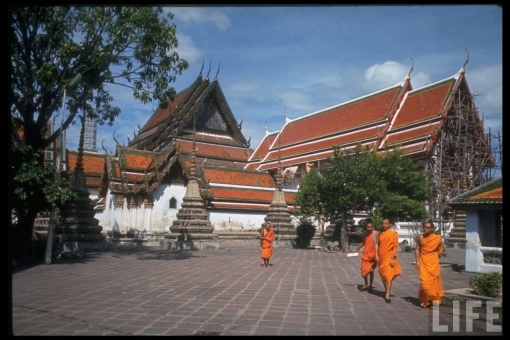 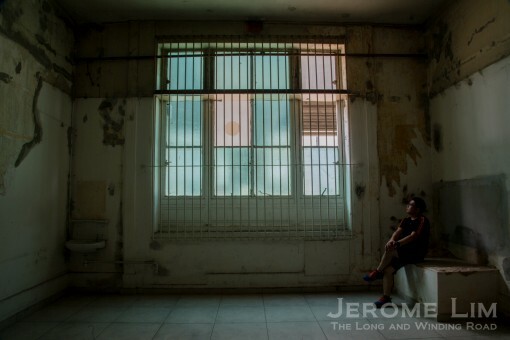 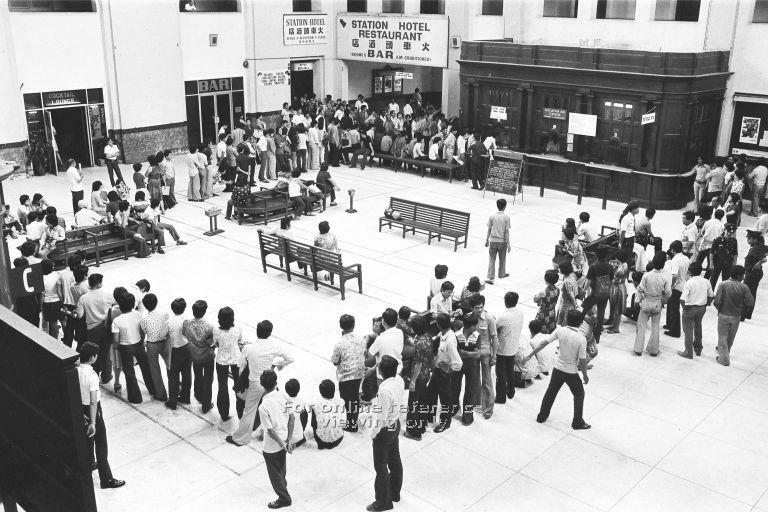 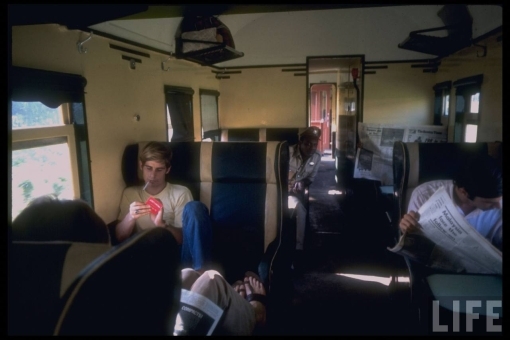 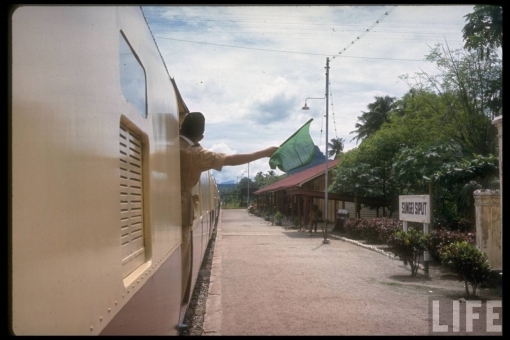 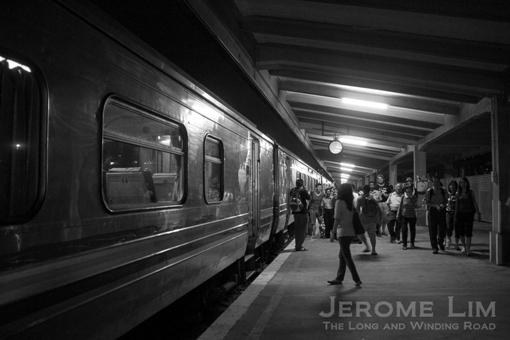 The set, also includes scenes along the journey to Bangkok, along with those captured at stopovers made in West Malaysia’s main urban centres. 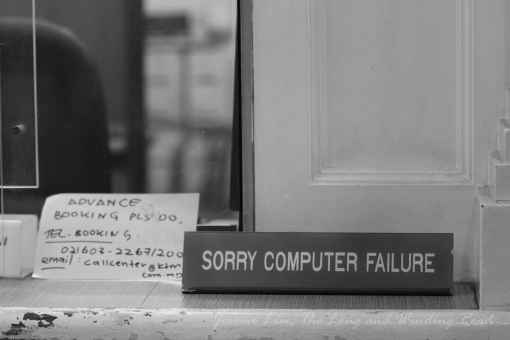 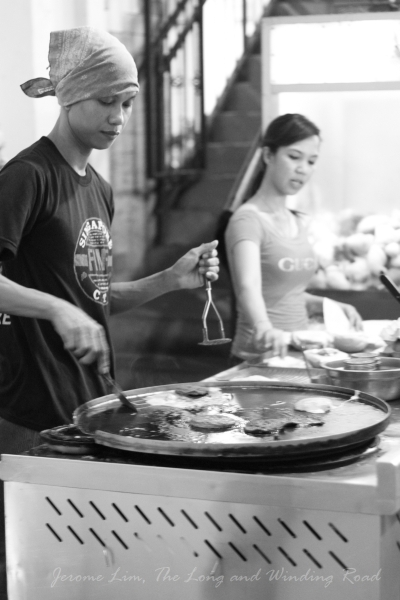 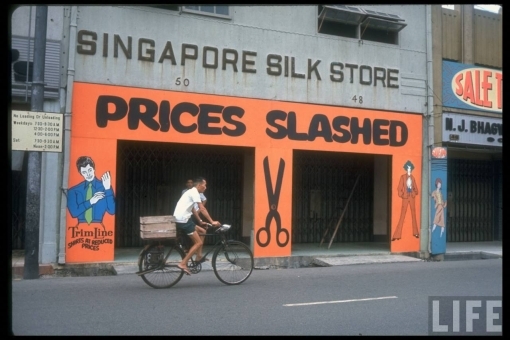 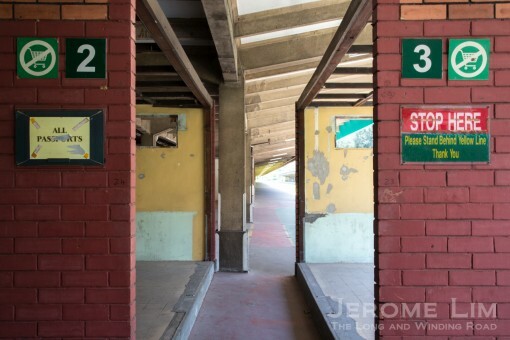 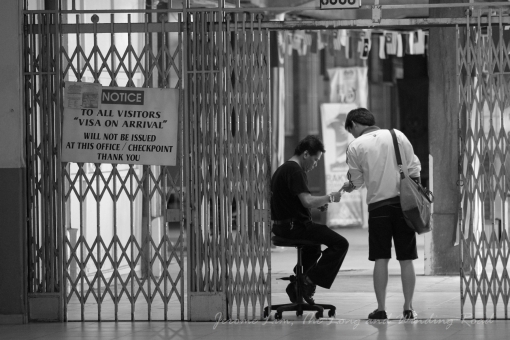 The photographs of Singapore are particularly interesting. 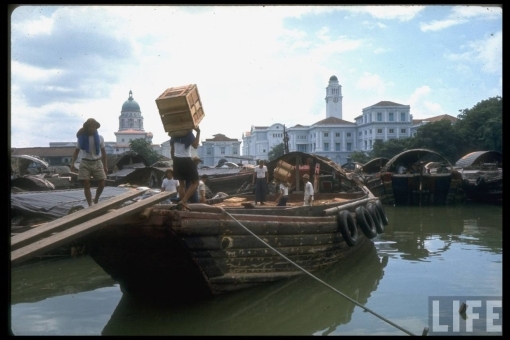 There are some of the old harbour, and quite a few of the twakow decorated Singapore River along which much of Singapore’s trade passed through. 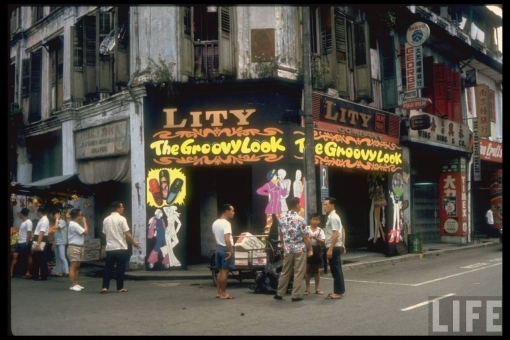 There are also several street scenes, once familiar to us in the area of North Bridge Road. 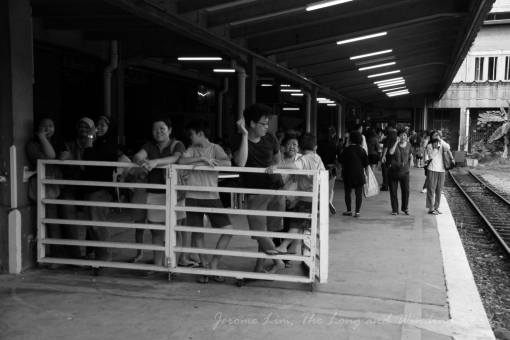 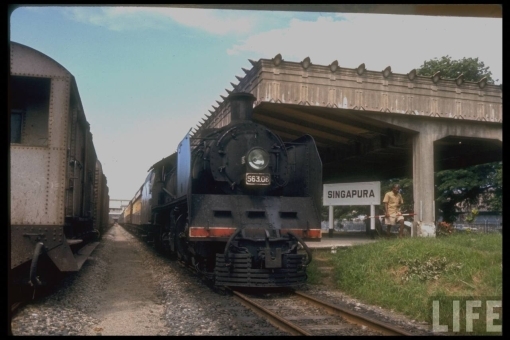 A couple of quite rare shots were also taken at Tanjong Pagar Railway Station including one showing a steam locomotive of a 1940s vintage, which the Malayan Railway operated until the early 1970s. 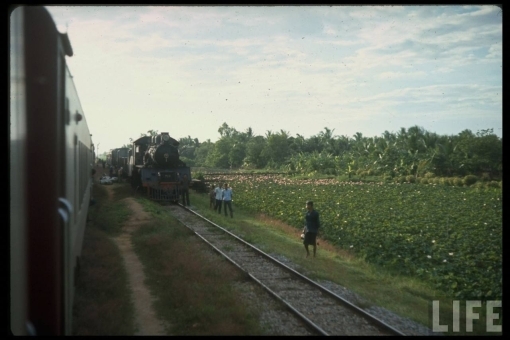 There are also images of the steam locos captured during the journey. 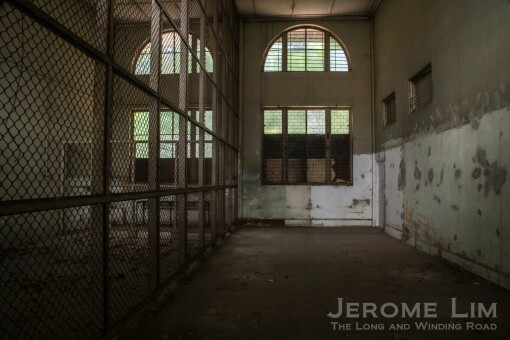 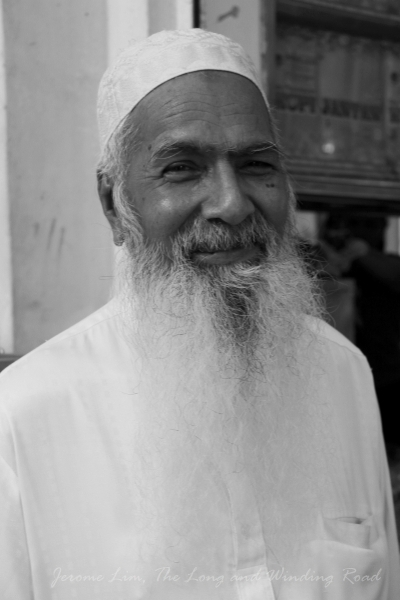 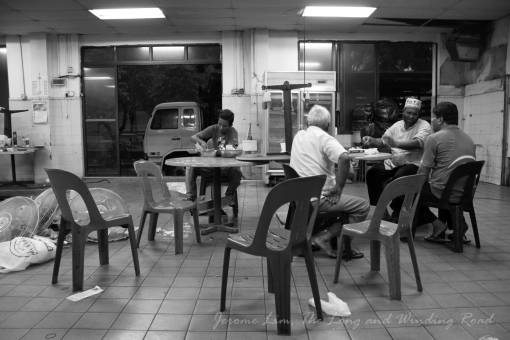 The photographs of West Malaysia are also interesting. 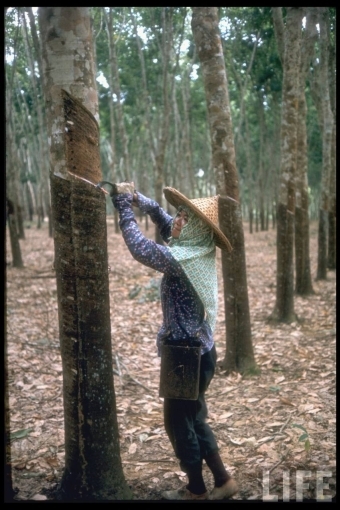 The replacement of rubber trees with oil palm as a crop, which had been taking place in parts of the peninsula from the 1960s to reduce Malaysia’s reliance on rubber and tin was in evidence. 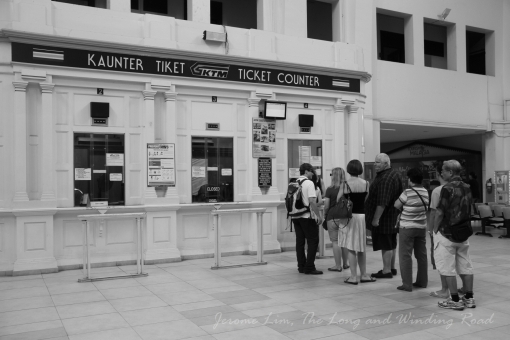 This is something that I well remember from the road trips to Malaysia of my early childhood. 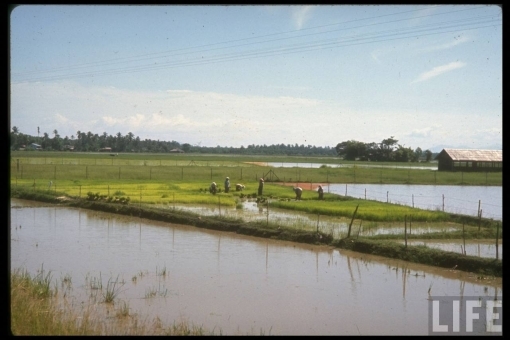 Another familiar scene from those trips were of the padi fields, which the trunk road passing through Malacca seemed to weave through. 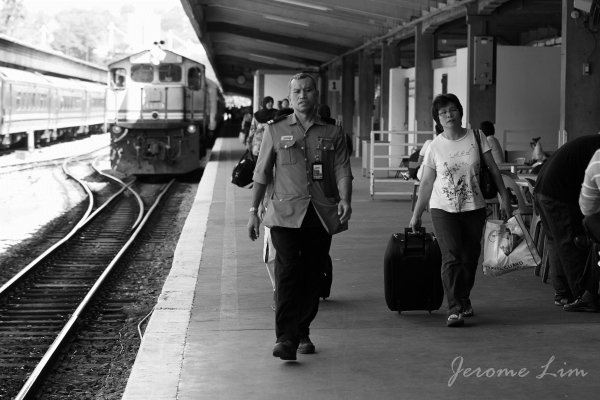 This is something Mr. Mydans also seemed to have captured quite a fair bit of. 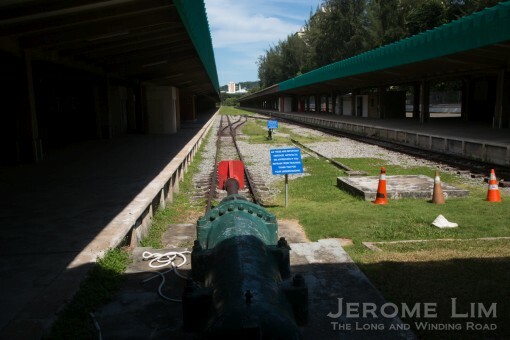 The departure platform at Tanjong Pagar Railway Station with a prewar relic of a steam locomotive. 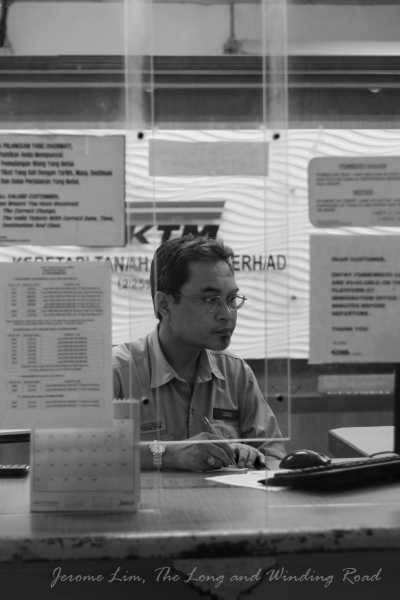 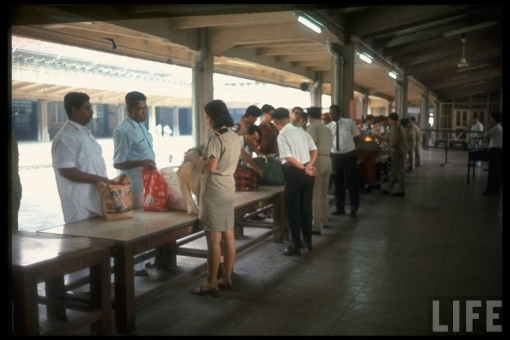 Malaysian Customs Inspection at the Departure Platform. 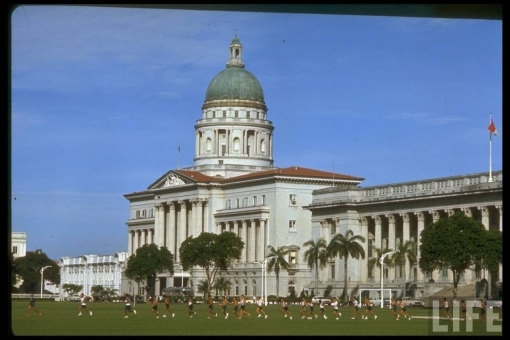 The Supreme Court and the Padang. 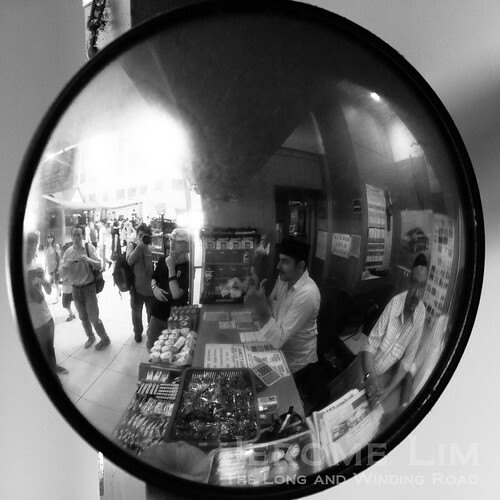 Corner of Hock Lam Street and North Bridge Road. 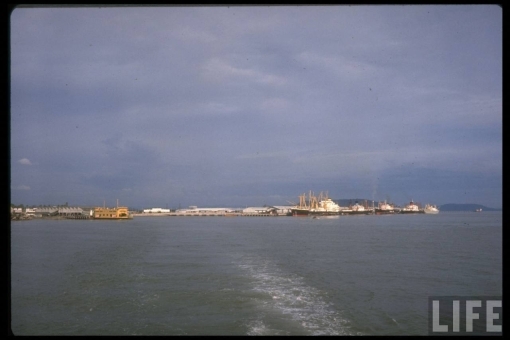 View of Clifford Pier and the Inner Road, and Outer Roads beyond the Detached Mole. 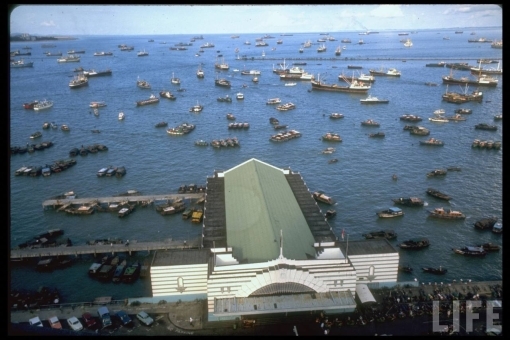 The view today would be towards Marina Bay Sands and Marina South. 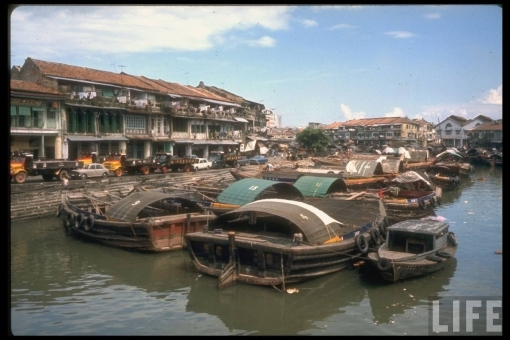 Another view of the harbour – where Marina Bay Sands and Marina South is today. 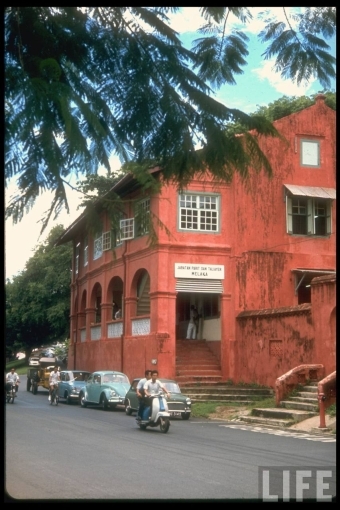 The Harbour Division of the Preventive Branch of the Department of Customs and Excise (Customs House today) can be seen at the lower right hand corner. 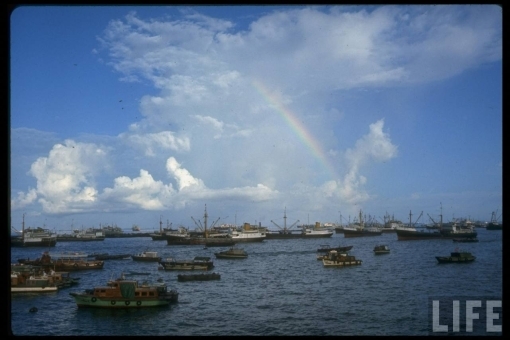 A rainbow over the harbour. 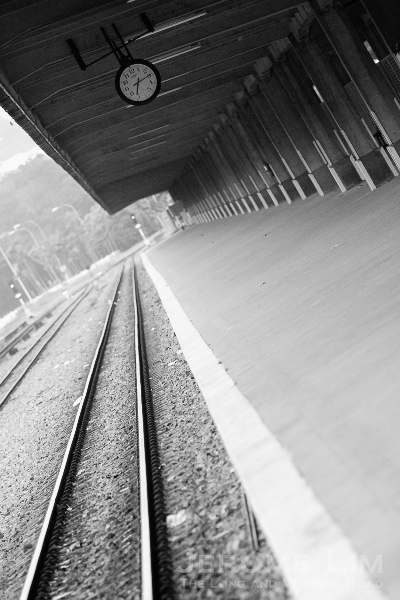 Walking the plank. 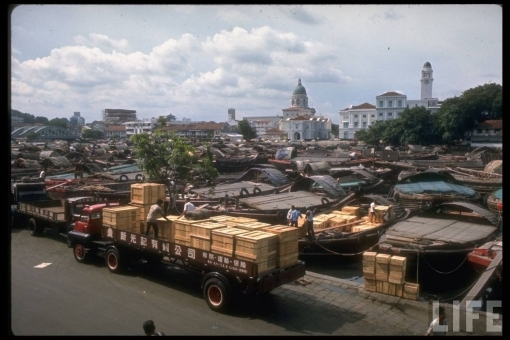 Coolies loaded and unloaded twakows by balancing items that were often bulkier than their tiny frames over narrow and rather flimsy planks that connected the boats to the quayside. 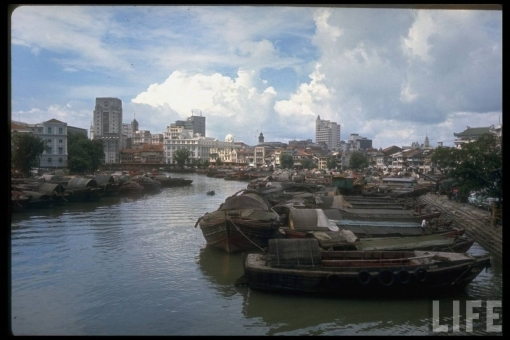 A view of the stepped sides of the river around where Central is today. 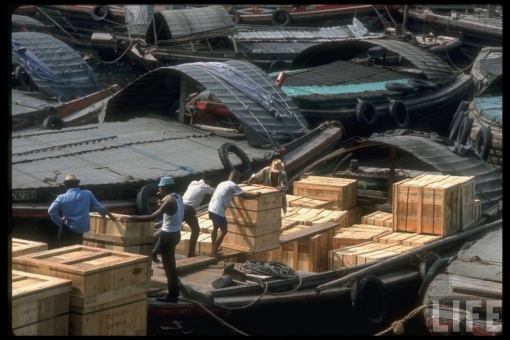 Coolies sliding crates that were too bulky and heavy along the plank. 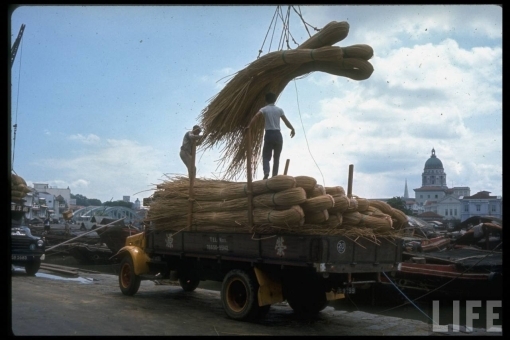 Lorry cranes were sometimes used instead. 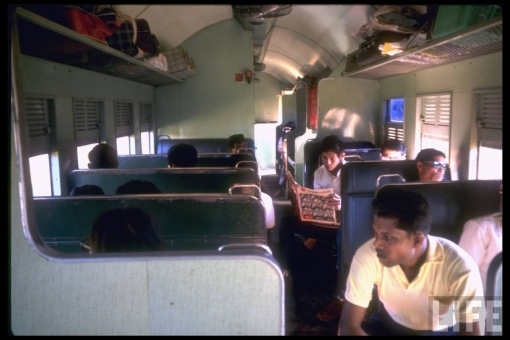 But more often than not manual labour was used. 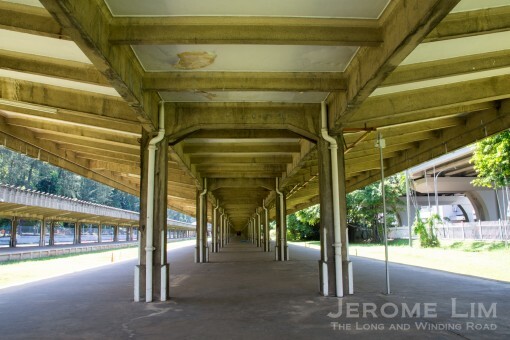 A view of the “belly of the carp”. 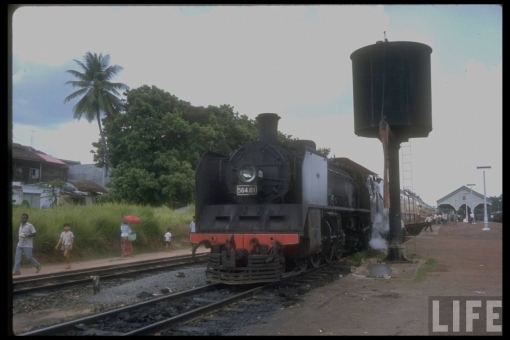 A steam locomotive at what looks like Gemas Railway Station. 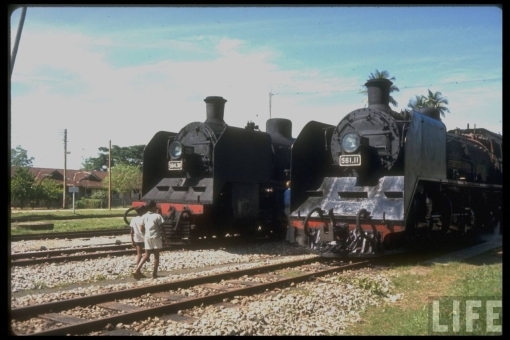 More steam locomotives (at Gemas?). 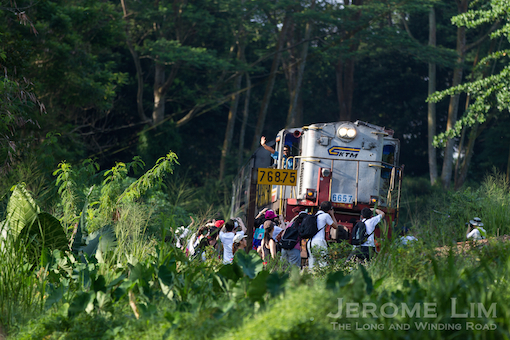 Train along a shunt line. 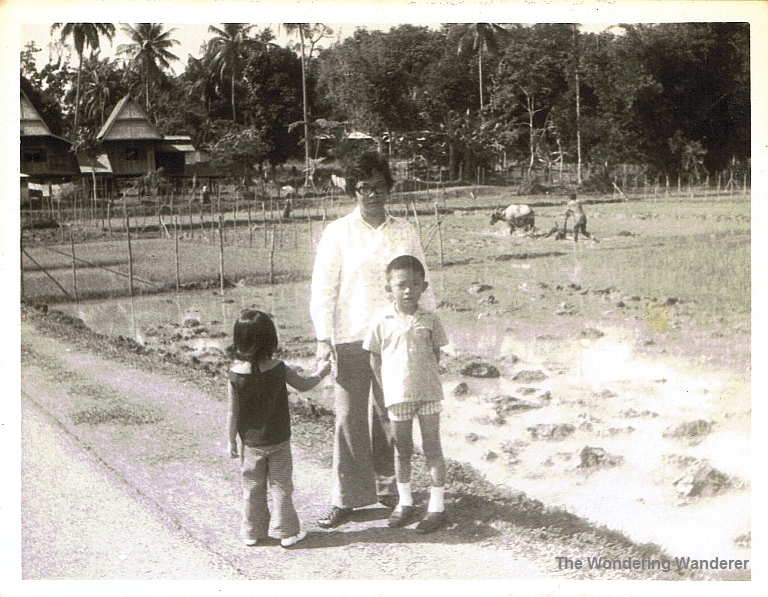 Rubber estates and rubber tappers were a common sight – even along the roads up north. 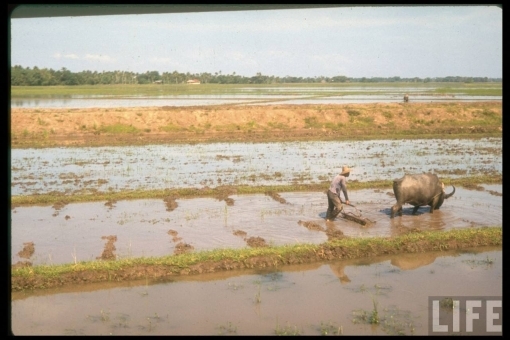 So were water buffaloes and padi fields. 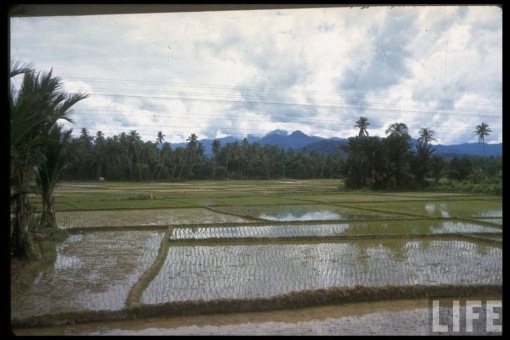 Another view of a padi field. 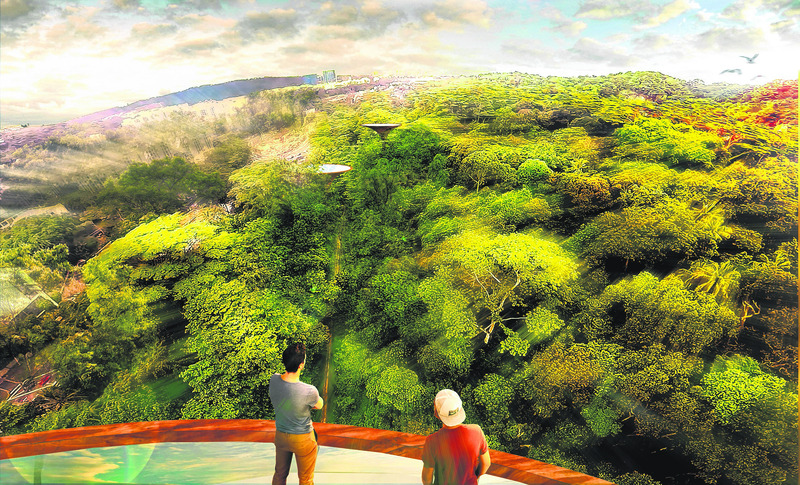 Oil palms taking root. 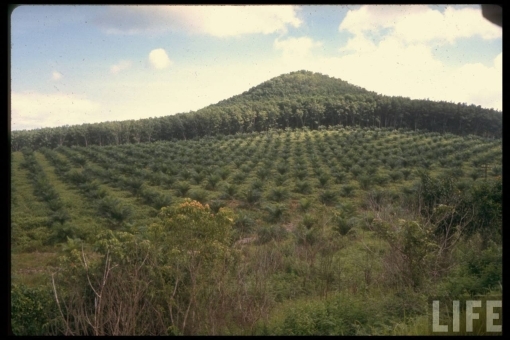 A drive to reduce Malaysia’s dependence on rubber and tin from the 1960s would see oil palms colour a landscape once dominated by rubber trees. 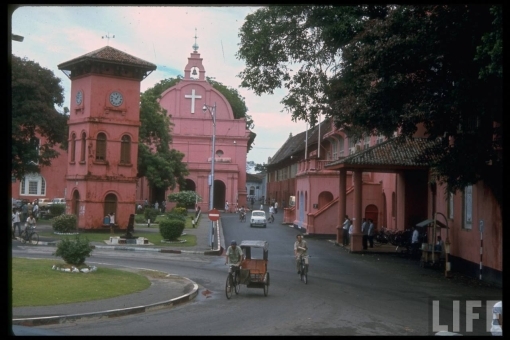 A break in the journey – a view of the Stadthuys Malacca. 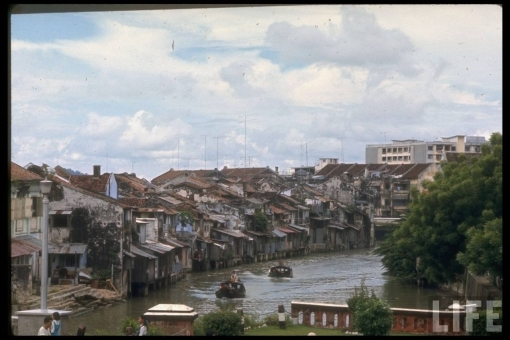 View of the Malacca River. 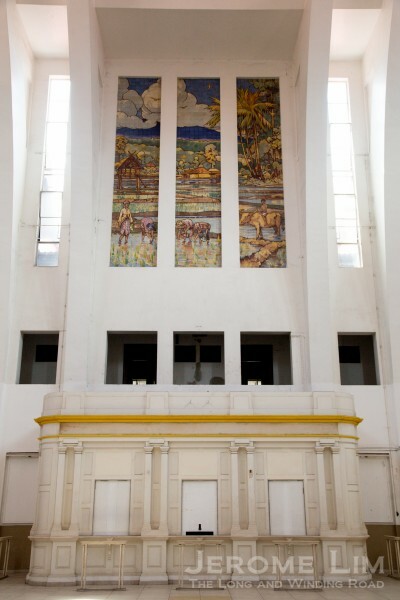 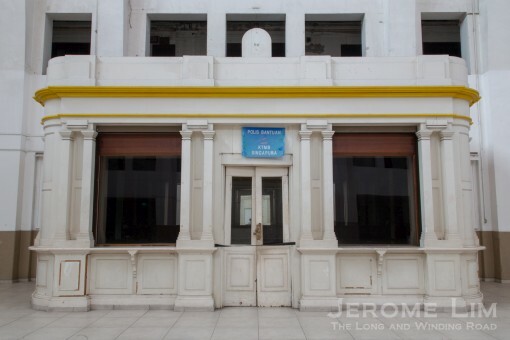 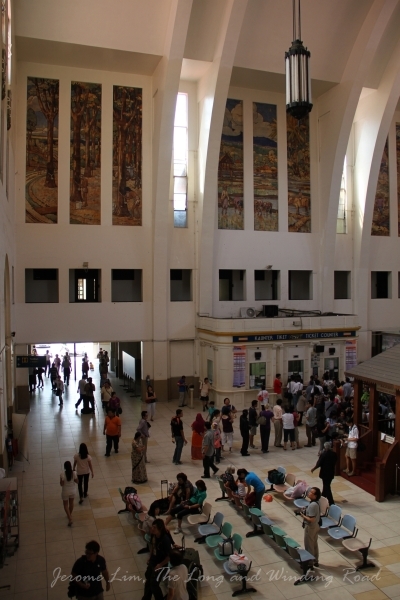 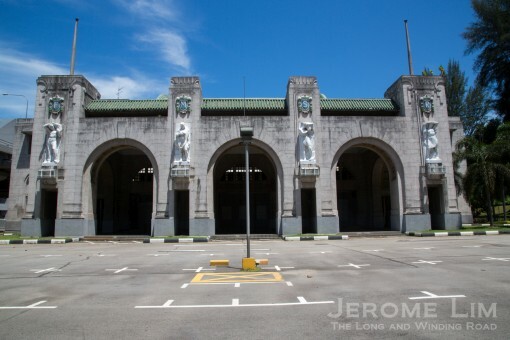 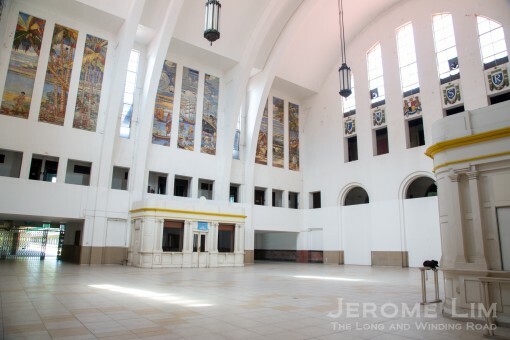 The Arthur Benison Hubback designed (old) KL Railway Station . 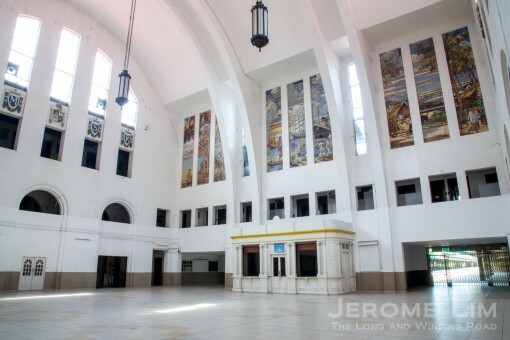 Another view of the south end of the KL Railway Station – with a view also of the KL Railway Administration Building. 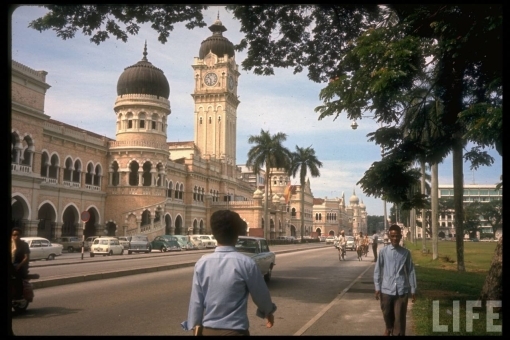 A southward view down Jalan Sultan Hishamuddin (ex Victory Avenue) with the KL Railway Station on the left and the KL Railway Administration Building on the right, also designed by Arthur Bennison Hubback. 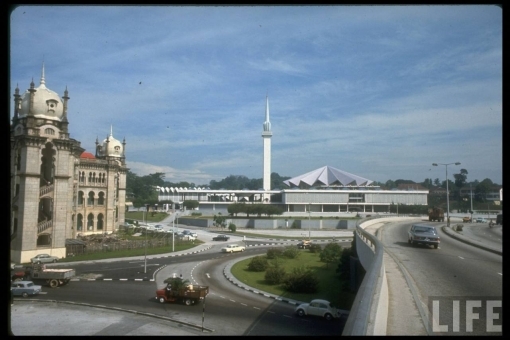 The Railway Administration Building and Masjid Negara. 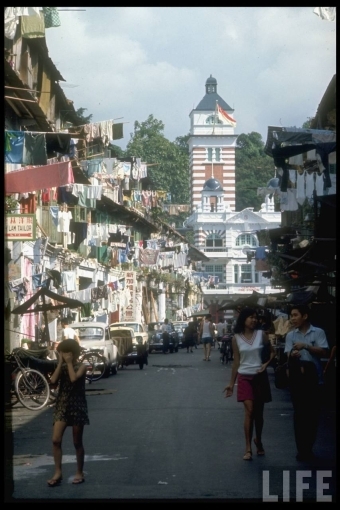 A view down Jalan Raja in KL with the BagunanSultan Abdul Samad on the left. 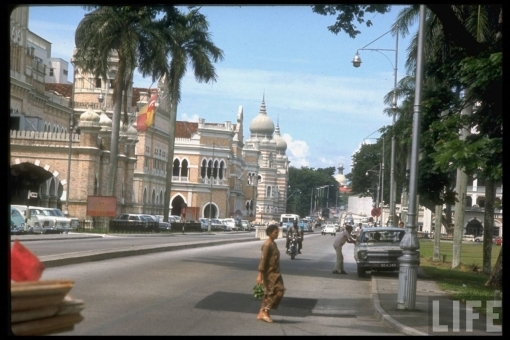 Another view down Jalan Raja in KL with the BagunanSultan Abdul Samad on the left and Dataran Merdeka on the right. 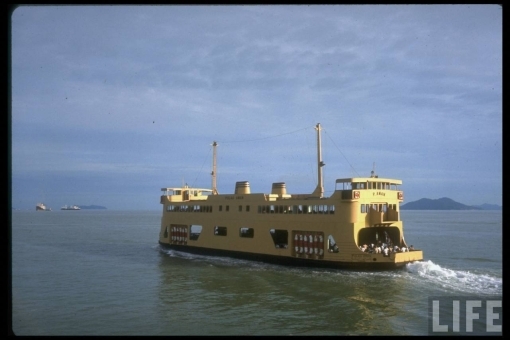 The Penang Ferry from Butterworth. 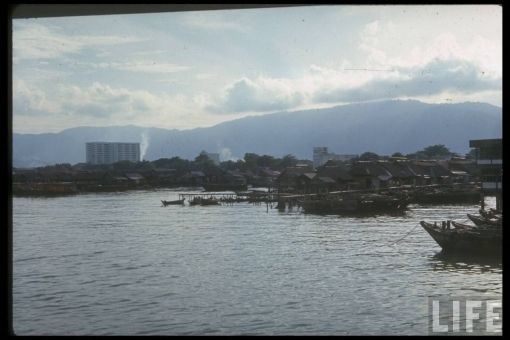 George Town – with a view towards the clan jetties. 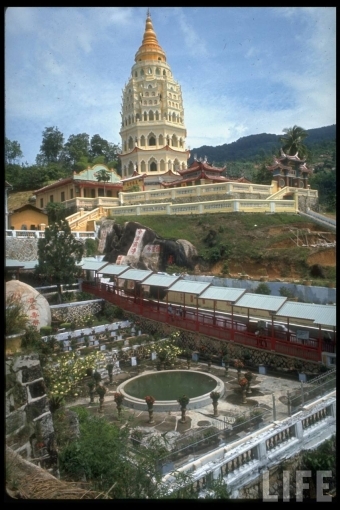 The Kek Lok Si Temple in Penang. 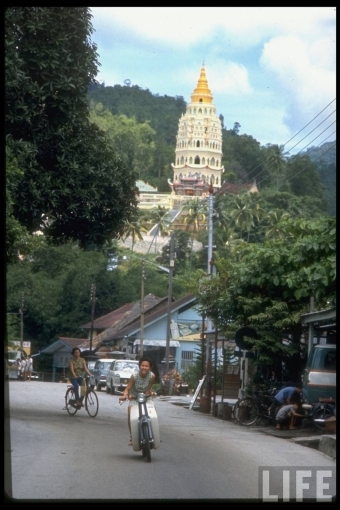 Air Itam and the Kek Lok Si Temple in Penang. 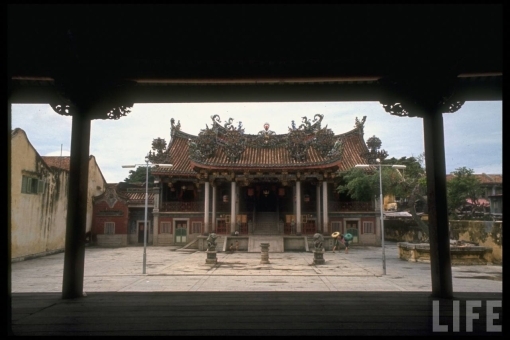 What looks like the Leong San Tong in the Khoo Kongsi in George Town. 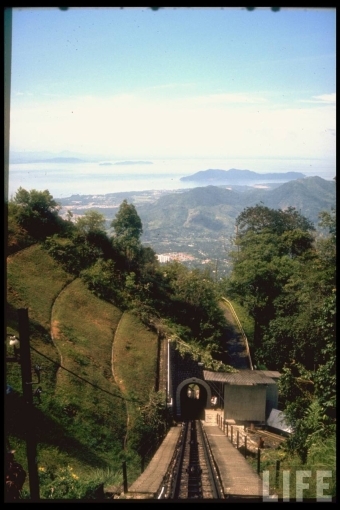 The Penang Hill funicular railway. 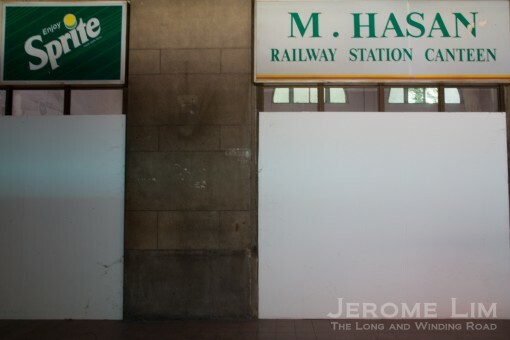 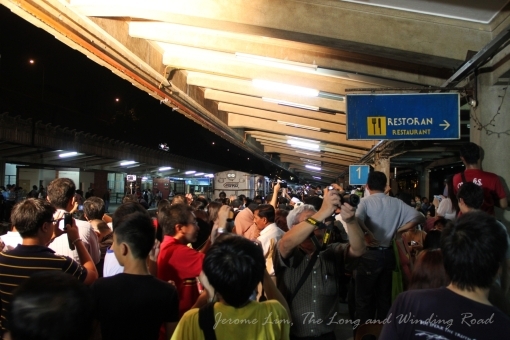 It was three years ago on 30 June 2011 that we waved goodbye to the Malayan Railway and its 79 years of trains running through to Tanjong Pagar Railway Station. 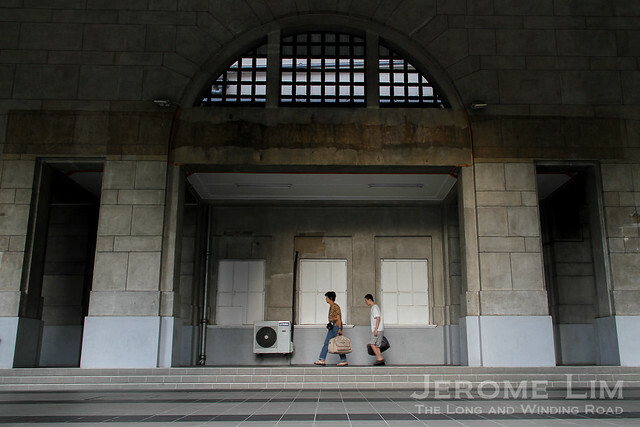 The cessation of train services freed up a 26 kilometre long corridor that cut a north-south path through Singapore, land which the Singapore government has committed to maintaining as a continuous green corridor for the benefit of the wider community. 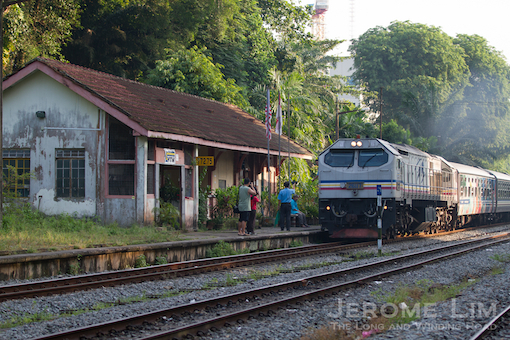 We waved goodbye to the Malayan Railway trains through Singapore 3 years ago on 30 June 2011. 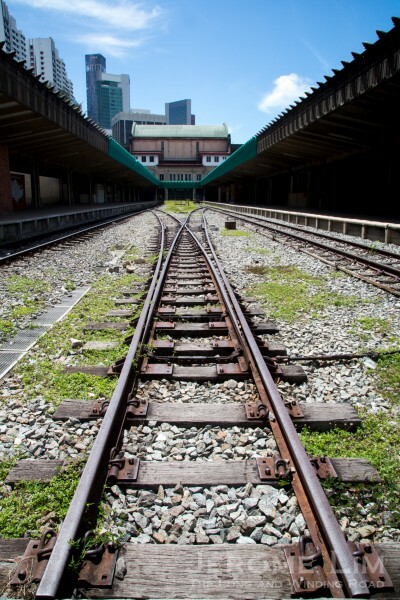 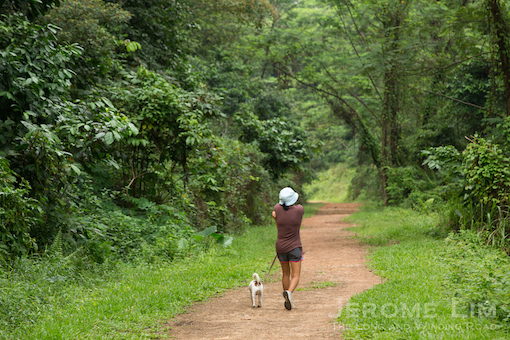 The Rail Corridor, which does have the potential to serve as a connector in more ways than one, including the provision of an unbroken link running down from the top of Singapore right into the heart of the city, as well as a green link for flora and fauna between the Bukit Timah Nature Reserve and Central Catchment Reserve with the green belt at the Southern Ridges; will now also see use as a connector for a new set of water pipes that will carry water from the Murnane Service Reservoir into the city area, required to be laid to meet future demands, as well as allowing for the replacement of an ageing set of pipes. 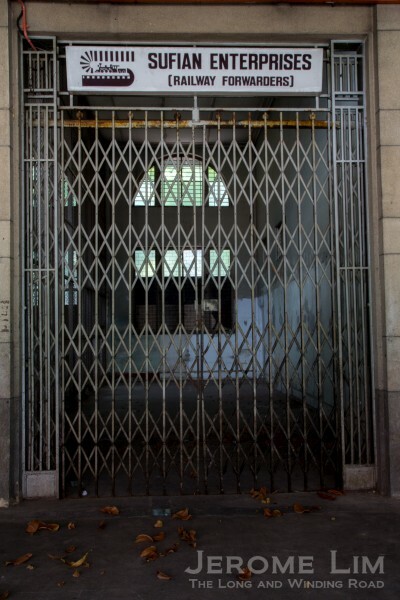 Murnane Service Reservoir, which was completed in 1956 and acts as a buffer to cater for the fluctuation in demand of water through the day. 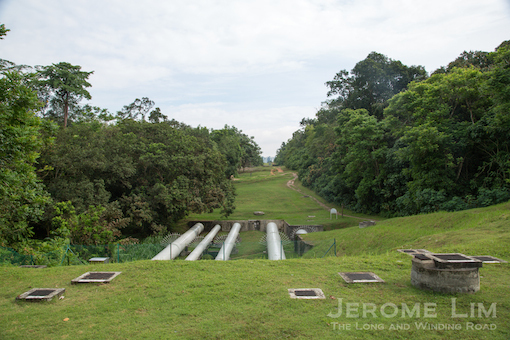 Water pipelines at the Central Catchment Reserve. 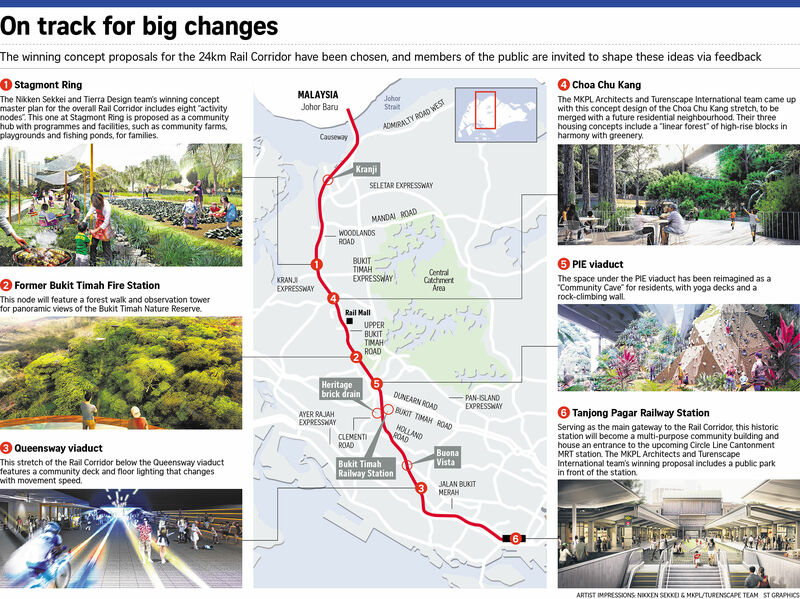 The project, which was presented by the Public Utilities Board (PUB) to the members of the Rail Corridor Partnership (RCP) on Saturday and to members of the media today will involve a 11 kilometre stretch (about half of the total length of pipes to be laid) of the southern section of the corridor from Jalan Anak Bukit to Tanjong Pagar and is scheduled to commence shortly. 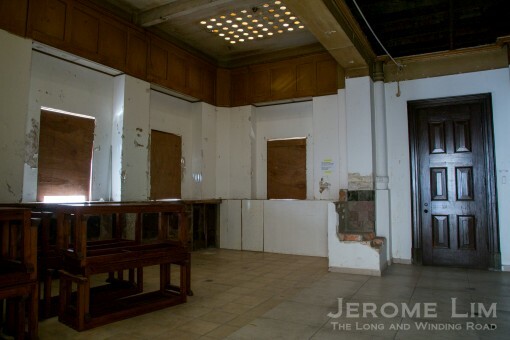 The project will start with the PUB first carrying out a detailed engineering design from July 2014. 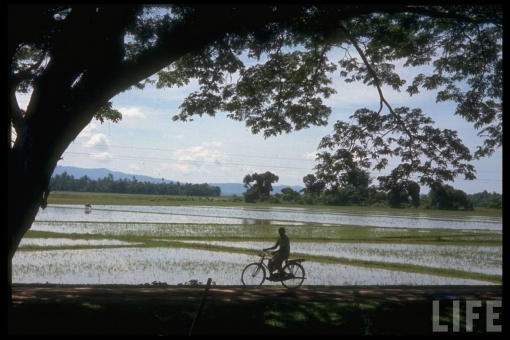 This will be followed by an Environmental Impact Assessment that will take place from December 2014 to August 2015 as well as Soil Investigations. 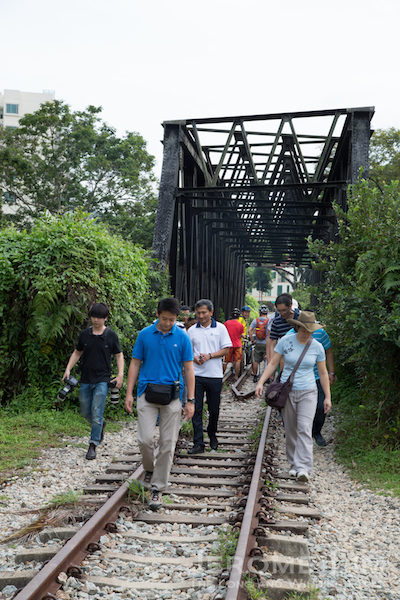 Minister for Environment and Water Resources, Dr Vivian Balakrishnan along the rail corridor during Saturday’s briefing to the Rail Corridor Partnership. 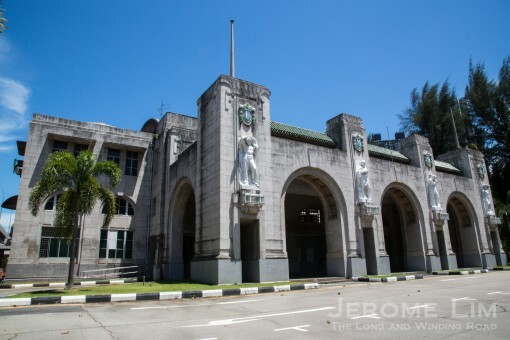 The project’s construction phase will follow the calling of a tender in October 2015, with work starting in April 2016 at a section running from Holland Road to Commonwealth Avenue using a cut and cover method involving the digging of an open trench a rate of one length of pipe laid per day. 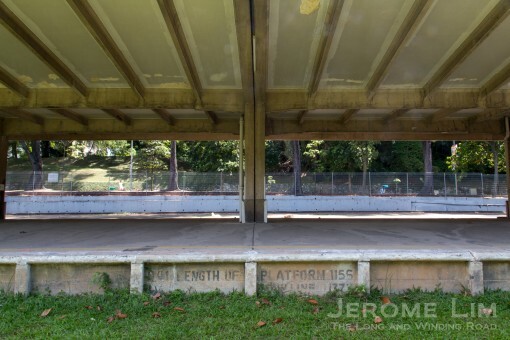 This section is scheduled to be fully reopened in October 2017. 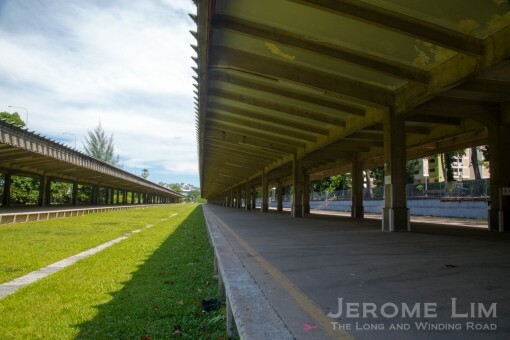 Disruption to users of the rail corridor such as walkers, joggers and cyclists, will be minimised throughout the construction period. 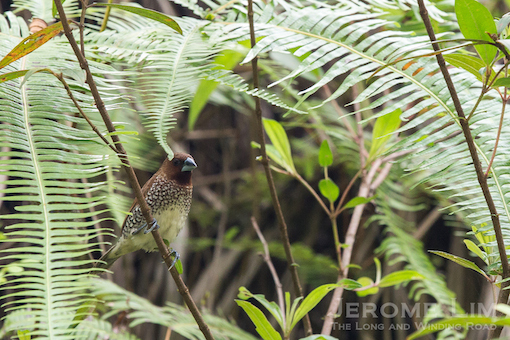 A Scaly-breasted Munia seen along the corridor on Saturday. 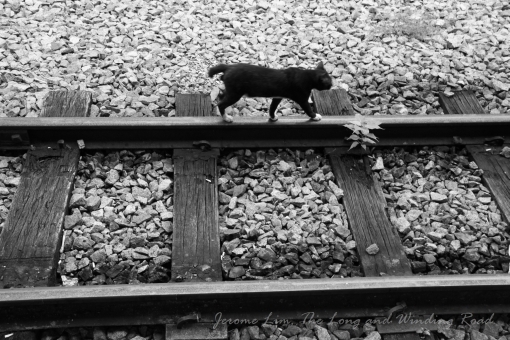 Hopefully disruption to the rail corridor’s amazing wildlife will also be kept to a minimum. 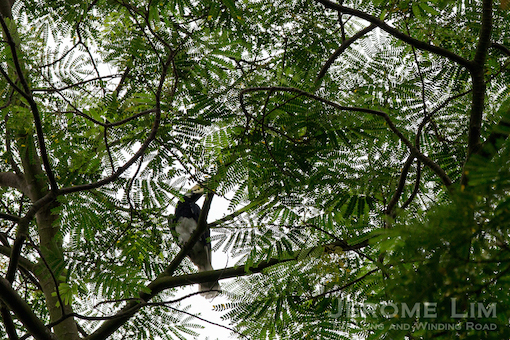 A Oriental Pied Hornbill seen (and heard) during Saturday’s walk. 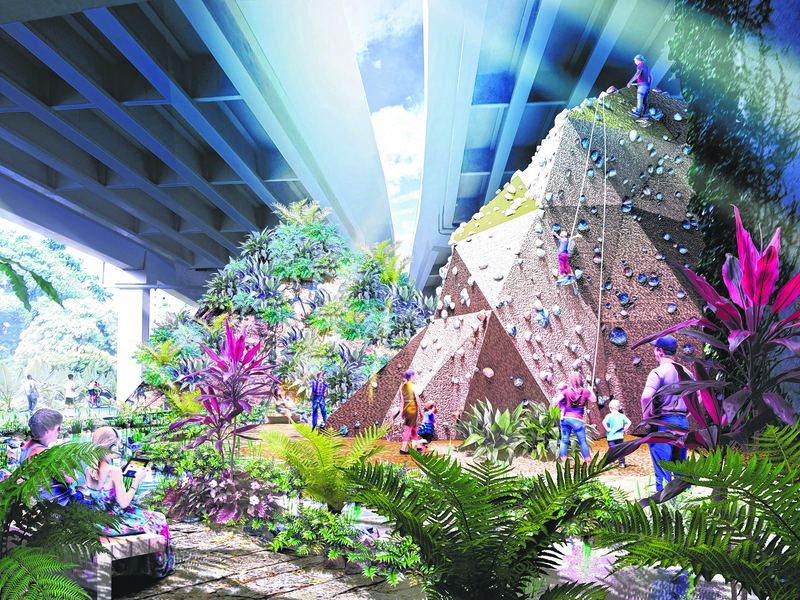 Construction is expected to be completed by September 2019 with work along the stretch from Jalan Anak Bukit to Holland Road scheduled for completion in March 2018, the stretch from Commonwealth Avenue to Jalan Kilang Barat completed by September 2018 and the last stretch from Jalan Kilang Barat to Tanjong Pagar completed by September 2019. 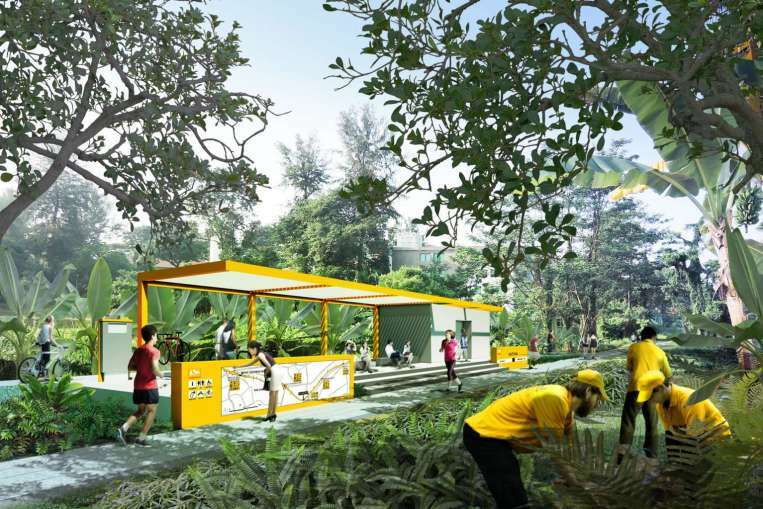 Throughout the construction period, access to the rail corridor will be maintained, and alternative paths will be provided to allow users to continue with their activities where necessary. 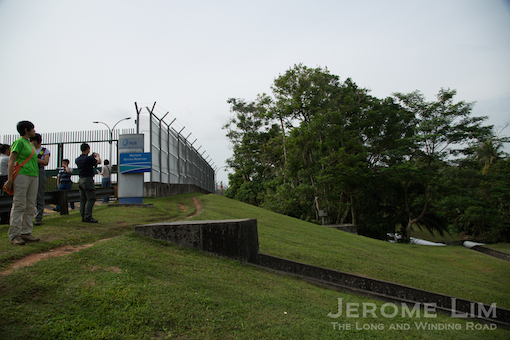 Dr Balakrishnan with members of the RCP on Saturday. 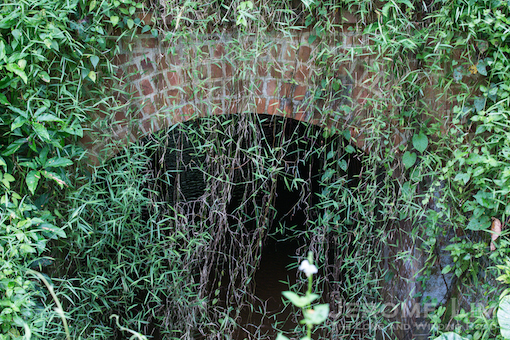 Due consideration has also been paid to the historic features along the route of the intended pipeline such as Bukit Timah Railway Station (BTRS), the truss bridge over Bukit Timah / Dunearn Road as well as a brick culvert close to BTRS with pipe-jacking used in way of the bridge and culvert. 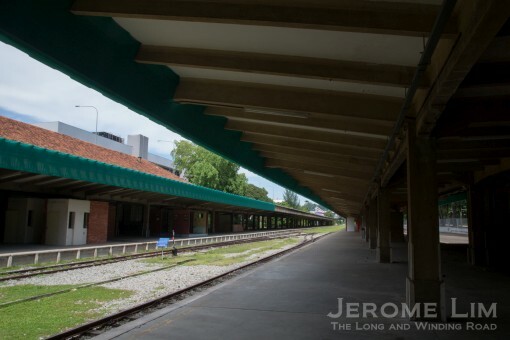 In way of BTRS, the pipeline will be run in the area behind the station. 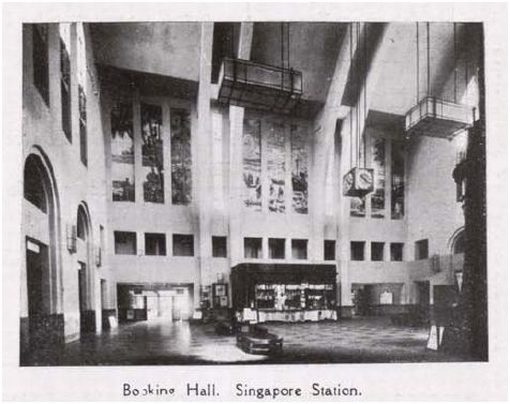 Bukit Timah Railway Station as seen when it was operational. 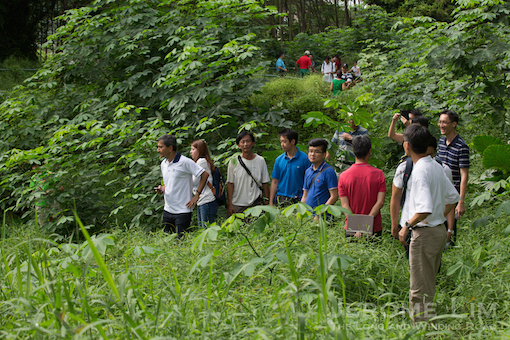 Members of the RCP, including representatives of Nature Society (Singapore), are generally supportive of the project. 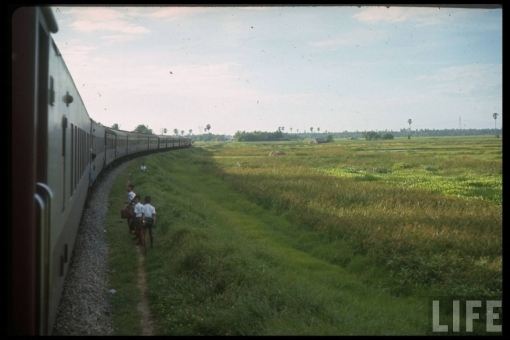 It is worth taking note that as in the case of the Central Pipeline Reserve, the laying of the pipeline along a stretch of the corridor would provide for it being kept free from development and hence, the preservation of the stretch of the rail corridor as a uninterrupted green corridor following the completion of works. 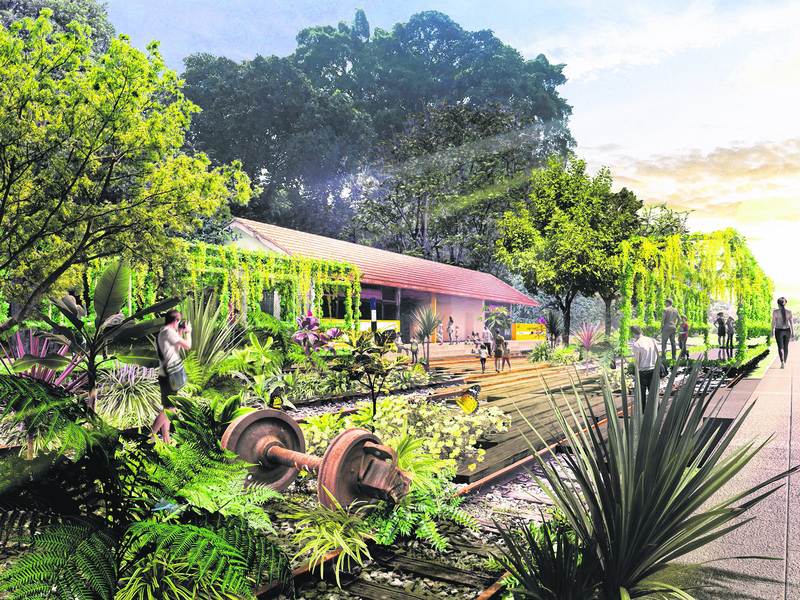 Plans for future use of the rail corridor has been the subject of much interest since the closure of the railway. 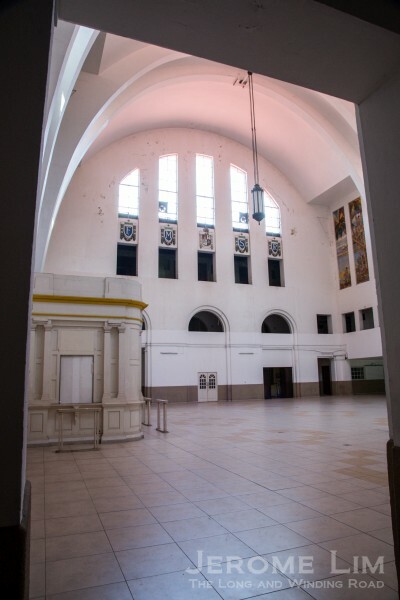 As yet, the future use of the corridor has not been determined, although there is that commitment to preserve it as a continuous green space. 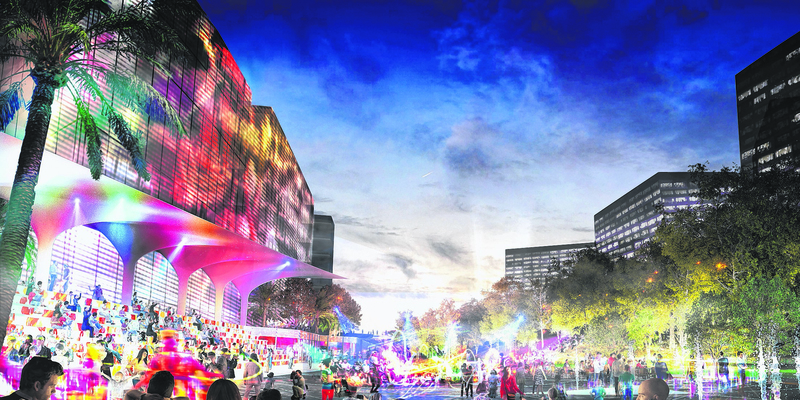 A much anticipated design competition, expected to have some influence on its future use, is expected to be announced in the near future.